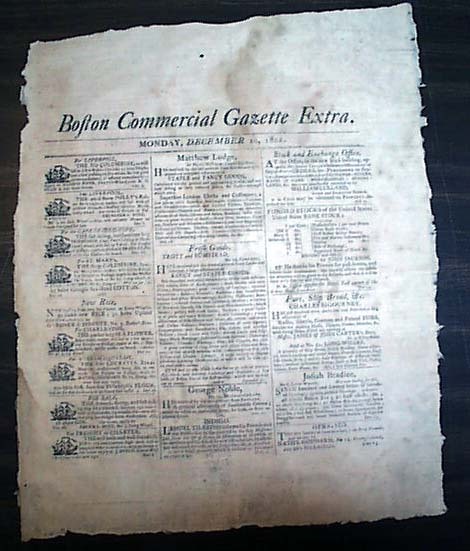 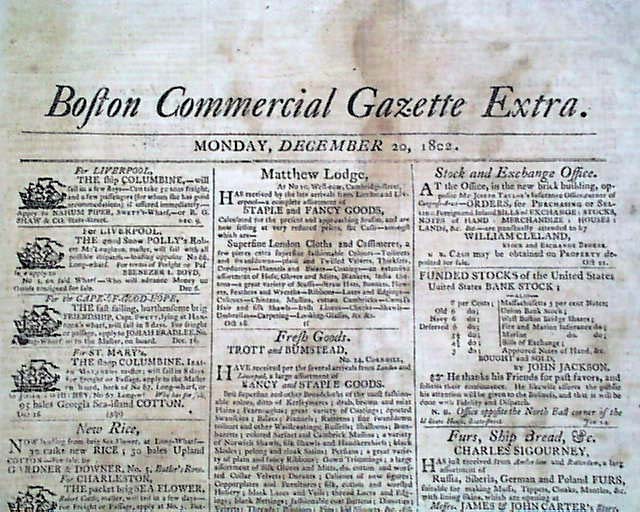 BOSTON COMMERCIAL GAZETTE EXTRA, Dec. 20, 1802 Here is a neat, untrimmed, single sheet "extra" containing all ads and notices. 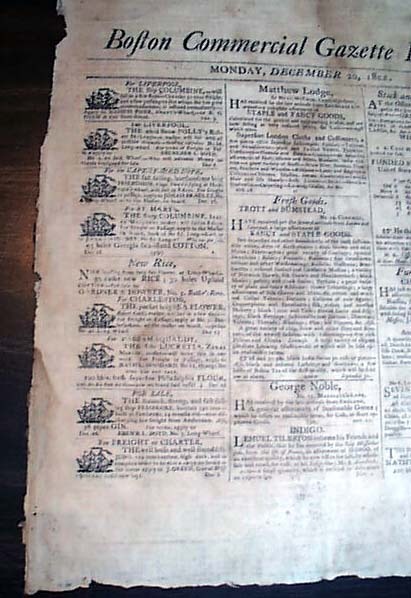 Of particular interest is the first column which has eight illustrated ship ads. 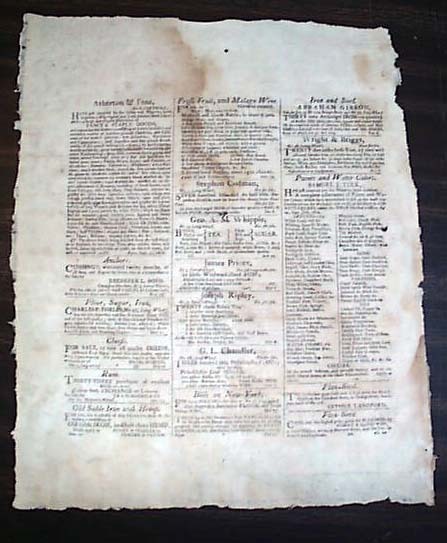 Printed on both sides, wide, untrimmed margins, 11 by 13 inches, some damp staining, generally nice.